Intended specifically for use by cardiologists but with the capacity to be shared between departments, the 1.5-tesla Magnetom Sola Cardiovascular Edition comes with dedicated applications and new technology for improved diagnosis and tailored treatment strategies, as well as faster, more automated examinations and standardized processes, according to Siemens. Speaking to AuntMinnieEurope.com ahead of the launch, Daniel Fischer, head of clinical and scientific marketing, stated these cutting-edge features should make more accurate diagnoses accessible to a new patient group. While the ESC recognizes MRI as the gold standard imaging modality for cardiovascular patients, mainly due to its capacity to quantify cardiac volume, mass, and wall motion, as well as its ability to diagnose ischemia and myocardial viability, it is widely acknowledged as a difficult procedure due to lengthy exam times involving many breath-holds, he explained. The cine application accelerates MRI scanning sequences so that cardiac function can be measured while the patient is breathing freely. Previous scanners required patients to hold their breath for up to 20 seconds several times during the process. It remains the sole application on the market to allow free-breathing exams to patients who often have irregular heart rates or difficulty breathing and were previously not eligible for cardiac MRI, according to Fischer. Meanwhile, the system's MyoMaps application provides quantitative assessment of myocardial injury that consequently affects therapy pathways. Although tissue mapping is now widespread on the market, early diagnosis of diseases such as myocarditis using such tools allows for timely treatment decisions. 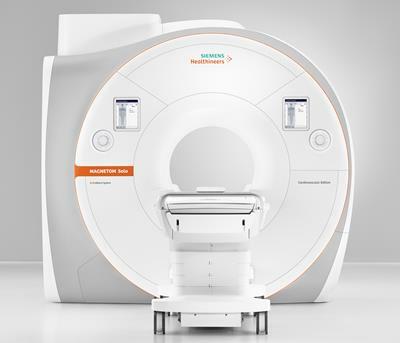 Currently available in the European Union (EU) and other countries, the system is also designed to facilitate the cardiologists' experience when performing MRI, continued Fischer, pointing to its applications to optimize exams, postprocessing, and analysis, with the package also including training for customers. The cardiovascular edition's software package, Cardiac Dot Engine, is a workflow tool that makes it easier to plan and perform cardiovascular MRI, reduce examination times, and obtain reproducible results more easily. The software provides step-by-step guidance for standardized diagnostic exams, while its artificial intelligence (AI)-based algorithms, trained on hundreds of cases, mean less experienced users may navigate more reliably through the scanning process. He also highlighted Dot Engine's capacity to incorporate protocol recommendations from the Society for Cardiovascular Magnetic Resonance (SCMR) for different clinical indications. 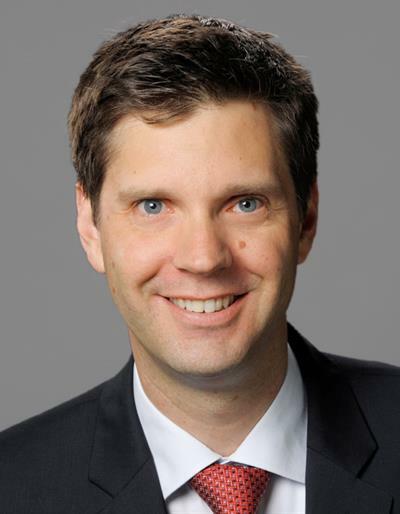 Standardization is another benefit of the Dot Engine, according to Fischer, who noted this generation of scanner comes with BioMatrix Technology, which aims to remove user variability and was included in 3-tesla machines last year. This technology, under development for five years, automatically adjusts to different patients to prevent variations in the scanning process, consequently shortening exam times, reducing the number of repeat scans, and leading to consistency and timely treatments, he added. Part of BioMatrix resides in integrating sensors into the scanner to measure patient data. The respiratory sensor tracks respiration obviating the need for an external belt, and the data are displayed to the end user and integrated into the exam. The beat sensor that lies in the surface coils tracks the movement of the heart in real-time without an electrocardiogram (ECG) belt. The Magnetom Sola Cardiovascular Edition will be priced in line with similarly configured Magnetom Sola scanners. Delegates at the ESC conference will be able to attend a late-breaking science session on Saturday afternoon about the cost-effectiveness and downstream savings of cardiac MRI seen in the U.S. SPINS SCMR Registry Trial of stress cardiac MRI. Additionally, on Monday afternoon, Siemens Healthineers will hold its satellite symposium about diagnosing ischemic heart disease and will present test results of the new cardiovascular edition.